E-Governance originated in India during the seventies with a focus on in- house government applications in the areas of defence, economic monitoring, planning and the deployment of ICT to manage data intensive functions related toelections, census, tax administration etc. The efforts of the National Informatics Center (NIC) to connect all the district headquarters during the eighties was a watershed. From the early nineties, e-governance has seen the use of IT for wider sectoral applications with policy emphasis on reaching out to rural areas and taking in greater inputs from NGOs and private sector as well. There has been an increasing involvement of international donor agencies such as DfID, G-8, UNDP, WB under the framework of e-governance for development. The Government of India has launched the National e-Governance Action Plan (NeGP) with the intent to support the growth of e-governance within the country. 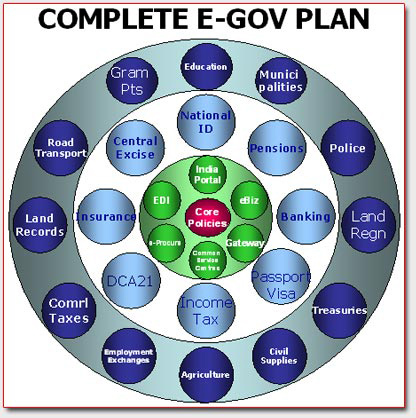 The Plan envisages creation of right environments to implement G2G , G2B , G2E and G2C services. Many developments initiated by various government agencies are seemingly done in isolation. Different development platforms are used and the applications under different platforms are seldom interoperable with the result that it is difficult to integrate them even though many have similar features and functionalities. Added to this, is the fact that there is no single agency responsible for framing enforceable e-governance standards. To have transparency, efficiency, accountability and speed, by providing effective and efficient Services to general public. 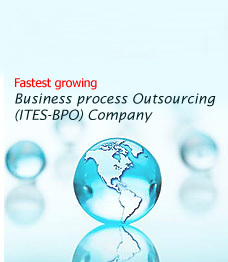 To provide the cost efficient service so as to reduce the time and improve the quantum and quality of service. To ensure adequate help to the common man under e-commerce services. To have a unified data tracking system for the public. Issuance of digital signatures certificates. Data Conversion and Data digitization. Providing web based solutions through encryption.